There’s only one thing I want to say today: Christchurch, you beauty! When people ask me what I’m about, I tell them I’m building the future I want to live in. We’re all doing that today, here at Lightning Lab Christchurch Demo Day. Look around you. The New Christchurch is filled with diversity and entrepreneurial spirit. We are transforming the brain drain from the quakes into a brain gain. The New Christchurch was not prototyped with number eight wire and built in brick, it was laid out in a CAD system and is being fabricated in high-tech materials. In The New Christchurch, the first question people ask you isn’t “what school did you go to”, it’s “what startups are you involved with” or “what countries are you doing business in”. We’re building the future we want to live in, right here, right now. It’s a job too important to be left to government – they’re an important partner, but it must be led by people willing to take risks. Investors, that’s us! While we mourn the losses from the quakes, we’re excited about that future. Cantabs, you’re the most resilient people I’ve ever met. I want you to know that today, the rest of the country is here backing you. So investors, don’t hold back. 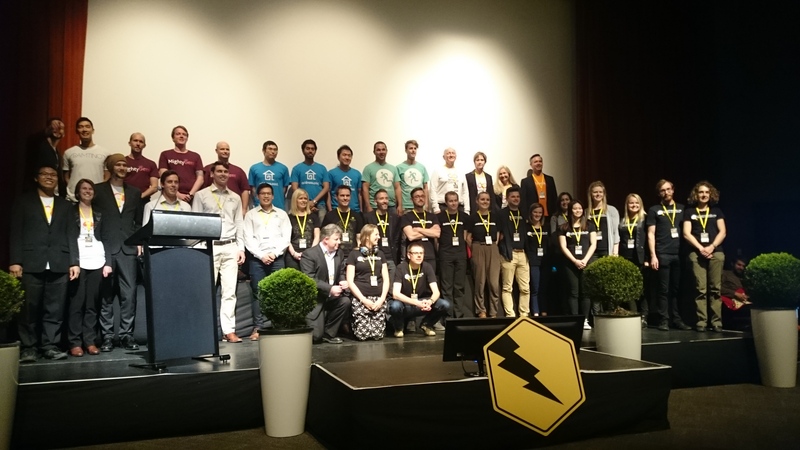 These Lightning Lab companies are The New Christchurch, and the future of New Zealand.